HP Sauce is a brown sauce originally produced by HP Foods in the United Kingdom, now produced by the H. J. Heinz Company in the Netherlands. It was named after London’s Houses of Parliament. 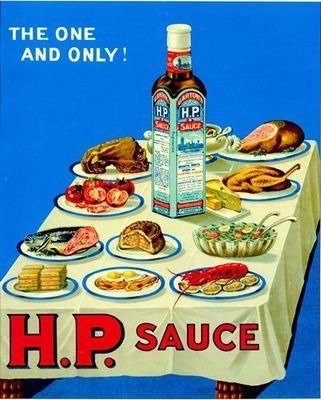 Since its first appearance on British dinner tables, HP Sauce has become an icon of British culture. 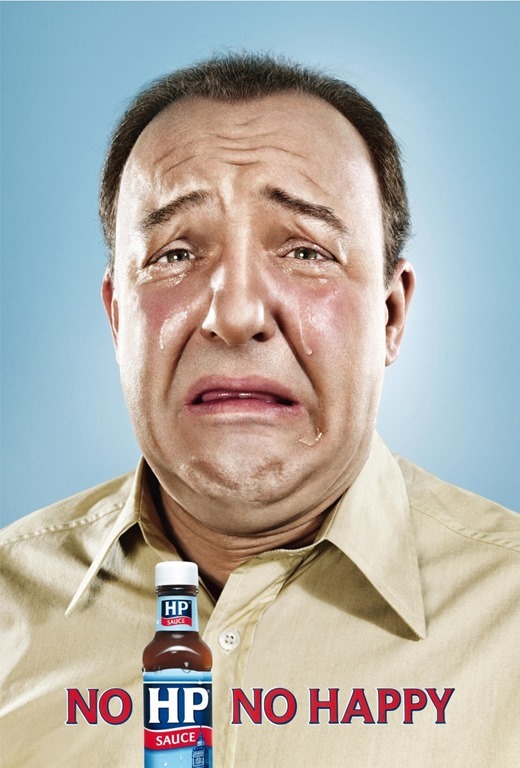 It was the best-selling brand of brown sauce in the UK in 2005, with 73.8% of the retail market. 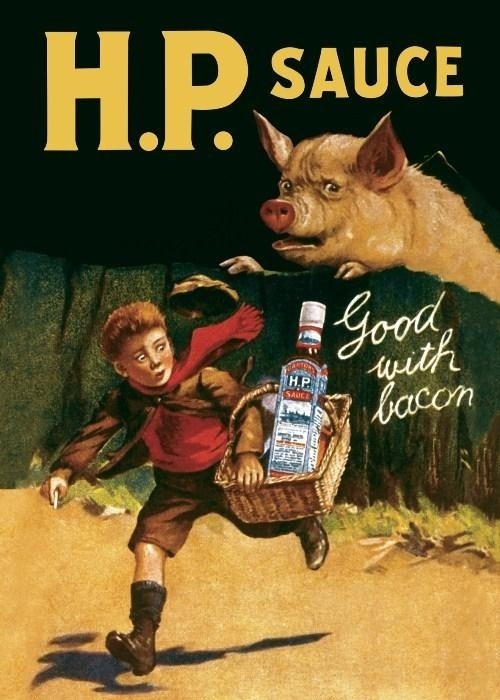 HP Sauce has a tomato base, blended with malt vinegar and spirit vinegar, sugars (molasses, glucose-fructose syrup, sugar), dates, cornflour, rye flour, salt, spices and tamarind. 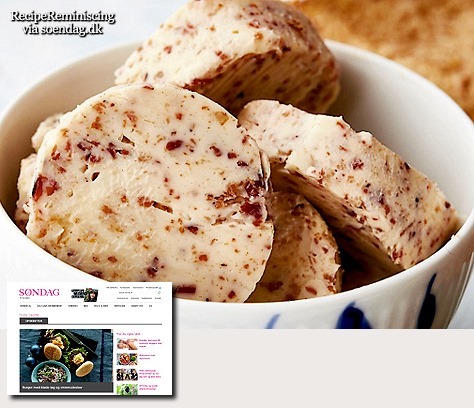 It is used as a condiment with hot and cold savoury food, and as an ingredient in soups and stews. It is also popular in Canada, Ireland, Australia, and New Zealand. The original recipe for HP Sauce was invented and developed by Frederick Gibson Garton, a grocer from Nottingham. He registered the name H.P. Sauce in 1895. 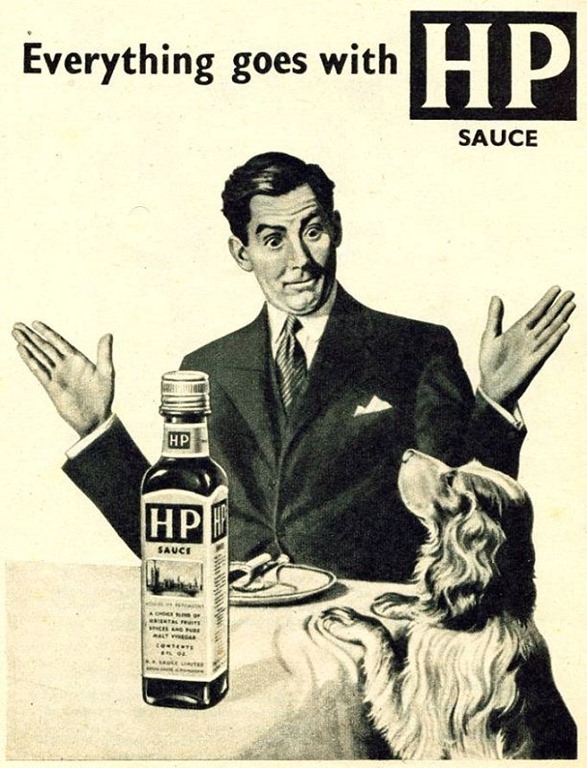 Garton called the sauce HP because he had heard that a restaurant in the Houses of Parliament had begun serving it. For many years the bottle labels have carried a picture of the Houses of Parliament. Garton sold the recipe and HP brand to Edwin Samson Moore for the sum of £150 and the settlement of some unpaid bills. Moore, the founder of the Midlands Vinegar Company (the forerunner of HP Foods), subsequently launched HP Sauce in 1903. In 2013, nearly 140 years since it was established, the Midland Vinegar Company Limited returned to the originators family, with Nigel Britton, great great grandson of the founders, now being the owner. For many years the description on the label was in both English and French. The factory in Aston, Birmingham, was once bisected by the A38(M) motorway and had a pipeline, carrying vinegar over the motorway, from the Top Yard to the main Tower Road factory site. The Top Yard site was subsequently closed, and vinegar was not brewed on the Aston site during the last few years of production there. 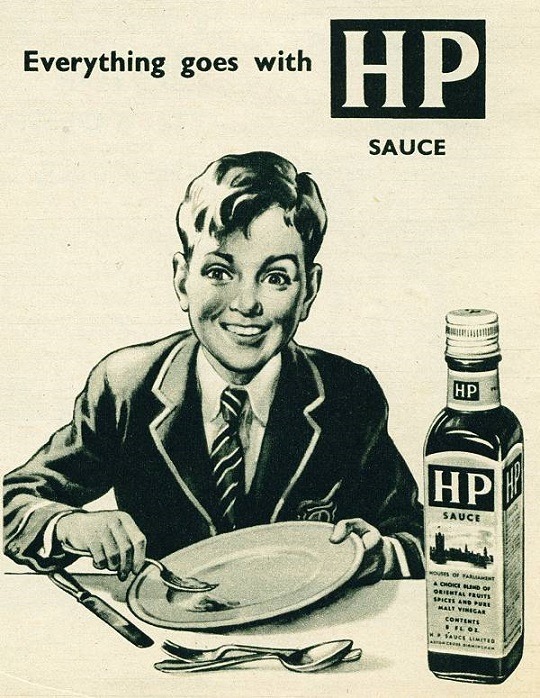 HP Sauce became known as “Wilson’s gravy” in the 1960s and 1970s after Harold Wilson, the Labour Prime Minister. 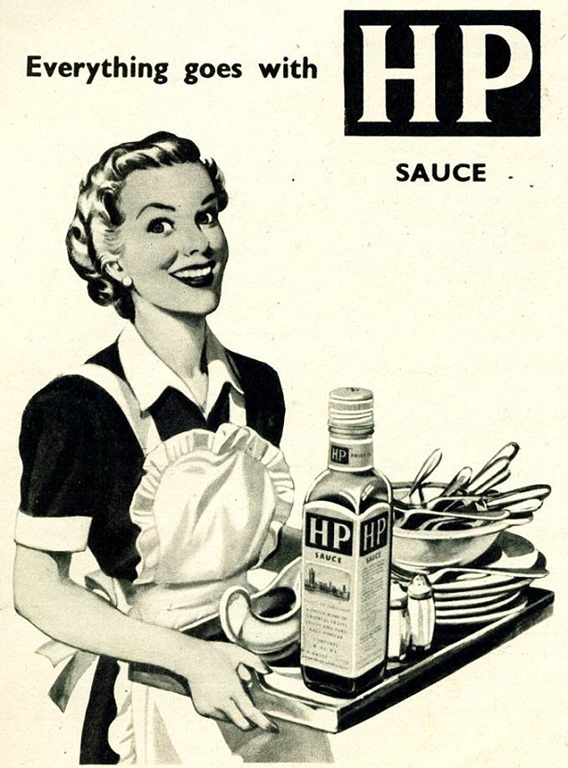 The name arose after Wilson’s wife, Mary, gave an interview to The Sunday Times in which she claimed “If Harold has a fault, it is that he will drown everything with HP Sauce”. 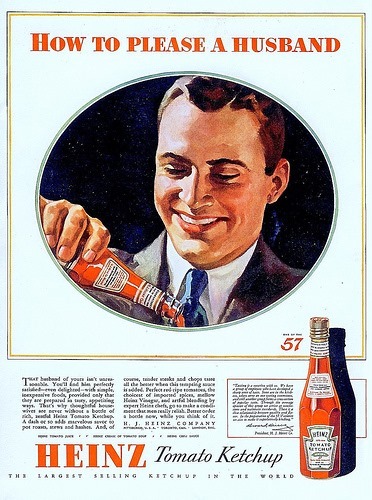 The brand was passed from the Midlands Vinegar Company to Smedley HP Foods Limited, acquired by a division of Imperial Tobacco, then sold to the French Groupe Danone SA in 1988 for £199 million. In June 2005, Heinz purchased the parent company, HP Foods, from Danone. In October of that year the United Kingdom Office of Fair Trading referred the takeover to the Competition Commission, which approved the £440 million acquisition in April 2006. 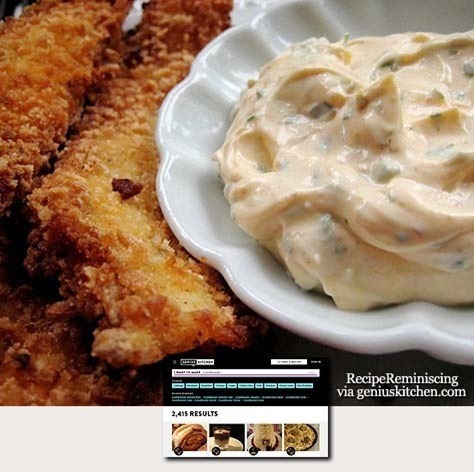 This green mayonnaise is the best accessory for cold salmon or trout, hard boiled egg or cold fish in aspic. As a condiment, mustard is ancient. 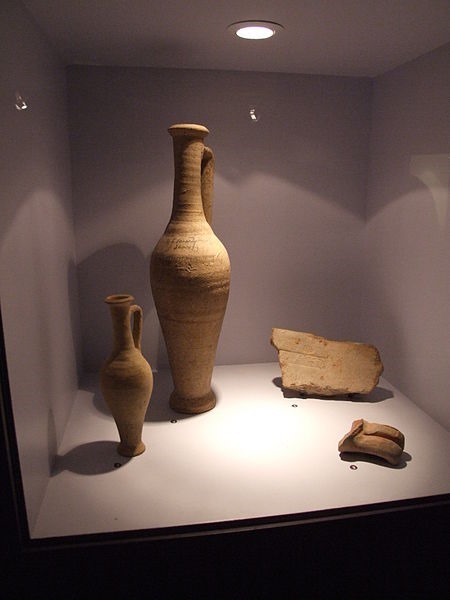 Prepared mustard dates back thousands of years to the early Romans, who used to grind mustard seeds and mix them with wine into a paste not much different from the prepared mustards we know today. 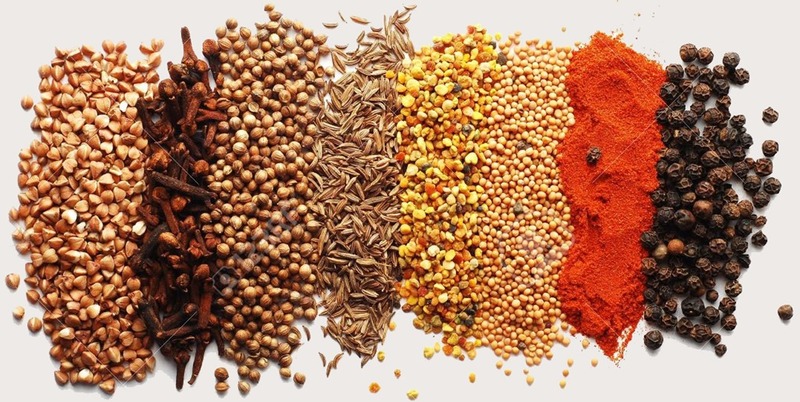 The spice was popular in Europe before the time of the Asian spice trade. It was popular long before pepper. 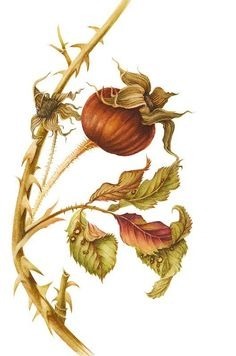 The Romans took the mustard seed to Gaul, where it was planted in vineyards along with the grapes. It soon became a popular condiment. French monasteries cultivated and sold mustard as early as the ninth century, and the condiment was for sale in Paris by the 13th century. In the 1770s, mustard took a modern turn when Maurice Grey and Antoine Poupon introduced the world to Grey Poupon Dijon mustard. Their original store still can be seen in downtown Dijon. 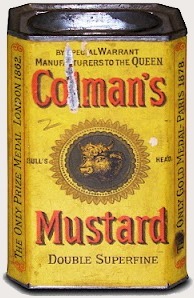 In 1866, Jeremiah Colman, founder of Colman’s Mustard of England, was appointed as mustard-maker to Queen Victoria. Colman perfected the technique of grinding mustard seeds into a fine powder without creating the heat which brings out the oil. The oil must not be exposed or the flavor evaporates with the oil. There are about 40 species of mustard plants. 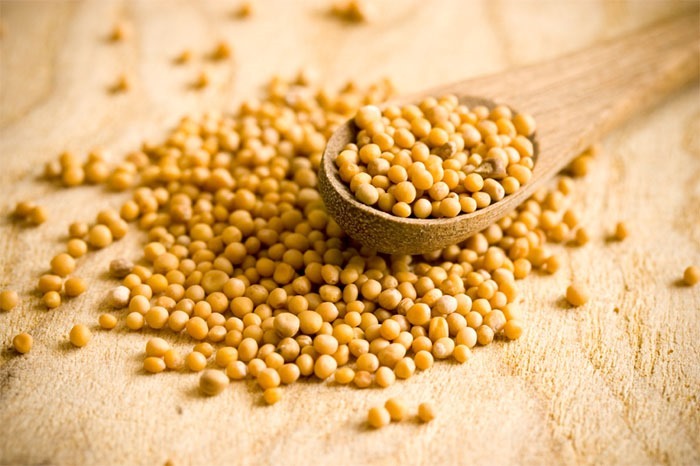 The three species that are used to make mustard are the black, brown and white mustards. White mustard, which originated in the Mediterranean, is the antecedent of the bright yellow hot dog mustard we are all familiar with. Brown mustard from the Himalayas is familiar as Chinese restaurant mustard, and it serves as the base for most European and American mustards. Black mustard originated in the Middle East and in Asia Minor, where it is still popular. 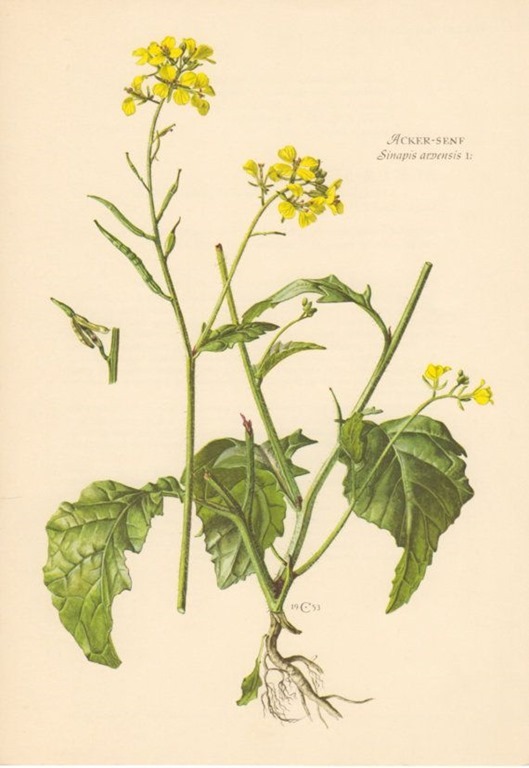 Edible mustard greens are a different species of mustard. The history of cultivation of mustard centers on the seeds, not the greens, which have been credited with originating both in China and Japan. 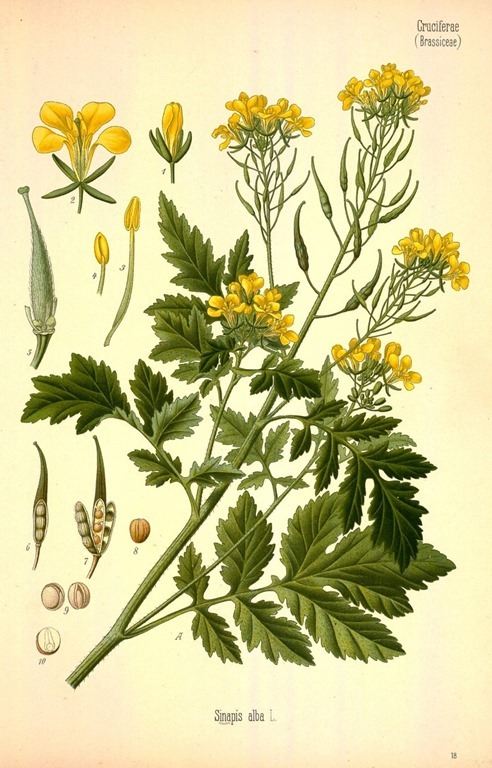 Long ago, mustard was considered a medicinal plant rather than a culinary one. In the sixth century B.C., Greek scientist Pythagoras used mustard as a remedy for scorpion stings. A hundred years later, Hippocrates used mustard in medicines and poultices. Mustard plasters were applied to treat toothaches and a number of other ailments. The mustard seed is a prominent reference for those of the Christian faith, exemplifying something that is small and insignificant, which when planted, grows in strength and power. 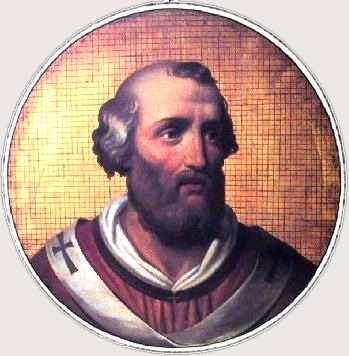 Pope John XII was so fond of mustard that he created a new Vatican position—grand moutardier du pape (mustard-maker to the pope—and promptly filled the post with his nephew. 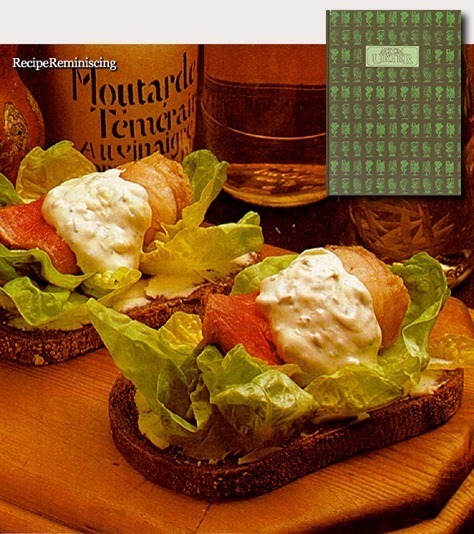 His nephew was from the Dijon region, which soon became the mustard center of the world. We all know that losers and quitters can’t cut the mustard (live up to the challenge), and perhaps the reason ballpark mustard is so popular is because pitchers apply mustard to their fastballs to get those strikeouts. 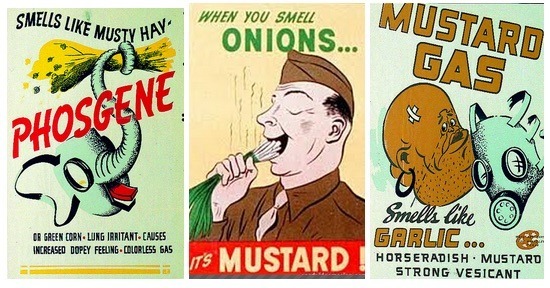 The disabling and even lethal chemical weapon known as mustard gas is a synthetic copy based on the volatile nature of mustard oils. Mango chutney is the classic accompaniment to curry – try making your own with this simple recipe. While this homemade mango chutney is delicious with curry, try it with cold meats to jazz up leftovers. 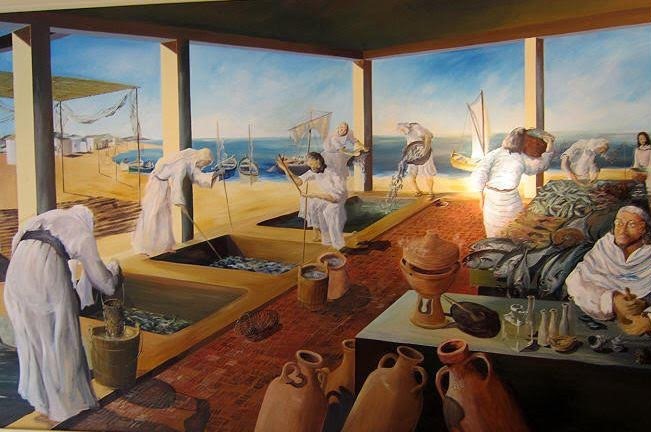 Garum and other similar fish-based sauces were the ketchup of the ancient world, mass produced in factories by the Romans, and sprinkled on anything savory. 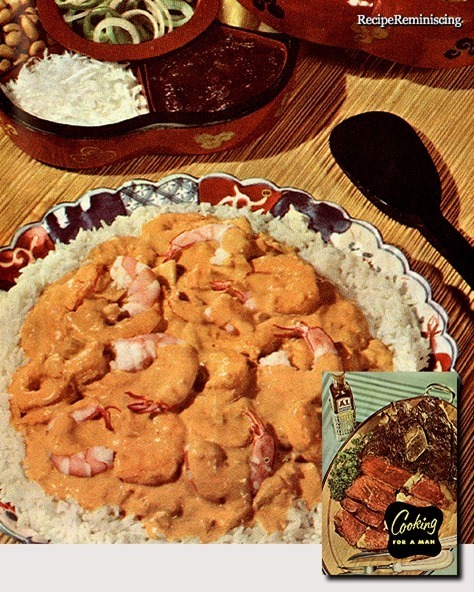 They usually made several versions: a dark-colored table condiment that was high in protein, a cooking sauce similar to Thai and Vietnamese fish sauces (sometimes called liquamen by historians, though often grouped together with garum), and a milder version called muria, explains food historian Sally Grainger. 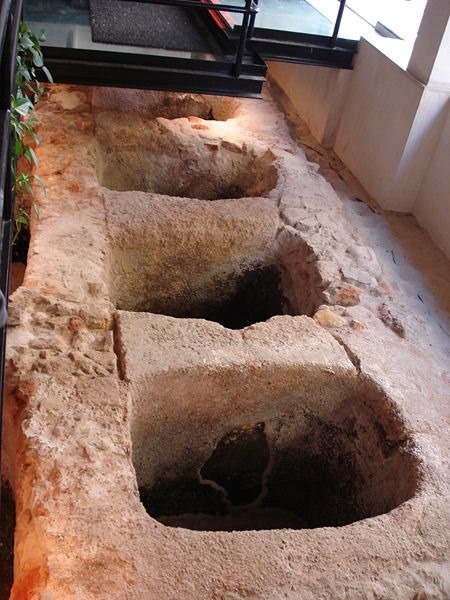 The fall of the Roman empire meant the end of its mass production, but the art of the fish sauce was not lost in Italy. 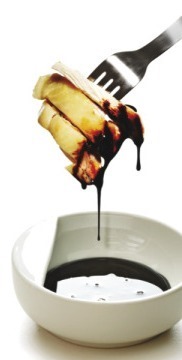 The modern-day version, colatura di alici, is a saltier mixture of all three sauces. While Italy may not be the first place that comes to mind when thinking of fish sauce, several companies on the Amalfi coast continue the ancient traditions. Today’s colatura is a clear, amber liquid made from fermented, salted anchovies and sold in tiny, elegant glass bottles. 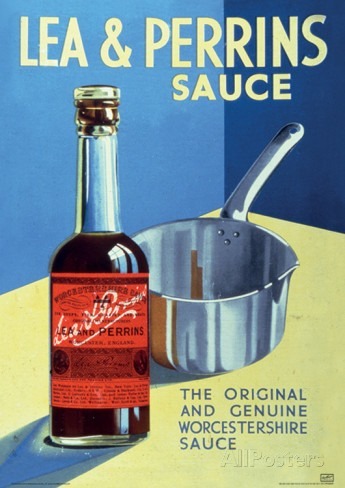 It is often described as the great-grandfather of Worcestershire sauce. “There is only a difference of a few ingredients, but colatura tastes better,” Grace Singleton, managing partner at Zingerman’s Delicatessen, tells me. Zingerman’s, based in Michigan, started carrying the condiment around 15 years ago, when co-founding partner Ari Weinzweig found himself in the Amalfi coast town of Cetara, where it has been made for generations. After tasting it for the first time, Weinzweig knew he had to carry it in his store. It took a year to get all the labelling right for US importation, but it was worth it. Since then, the sauce has had a steady following, Weinzweig tells me. Everyone who has tried it remembers the exact moment when colatura di alici and taste buds first met. For Matt Armendariz, who runs the food blog Matt Bites, it was in Italy, in an aioli sauce. “My mind was blown. It had this umami flavor and I asked the chef why it was so delicious, and he said he used colatura di alici. I just fell in love with it,” Armendariz fondly recalls. The amber sauce, which is fermented traditionally in chestnut barrels, is an inexpensive way to add depth and flavor to dishes, says Singleton. A little glass bottle will set you back on average $15, but you only need a sprinkling to bring a new dimension to food. It is also the key to a quick and simple pasta dish popular in the Amalfi coast. Any kind of long, thin pasta is mixed with garlic, chili-infused olive oil and a little colatura di alici for an unmistakable savory rich flavor that belies its simple ingredients. Armendariz recommends sprinkling it on ripe tomatoes or putting a few drops on grilled steaks and other meats to make the flavor pop. Singleton favors using it in place of salt in dishes, since it does double duty by both salting a dish and accentuating its flavors. Despite its fishy origins, don’t think of it as a fish sauce, says Armendariz, who refers to the flavor enhancer as a “genie in a bottle” on his blog. It’s a true secret ingredient for the modern age, taken straight out of the ancient world. 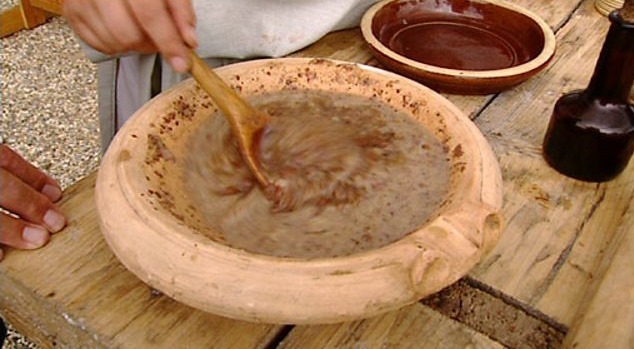 Roman Garum was a fermented fish sauce used as a condiment in the cuisines of ancient Greece, Rome, and Byzantium. Liquamen was a similar preparation, and at times the two were synonymous. Although it enjoyed its greatest popularity in the Roman world, the sauce was earlier used by the Greeks. When mixed with wine (oenogarum, a popular Byzantine sauce), vinegar, black pepper, or oil, garum enhances the flavor of a wide variety of dishes, including boiled veal and steamed mussels, even pear-and-honey soufflé. Diluted with water (hydrogarum) it was distributed to Roman legions. Pliny (d. 79) remarked in his Natural History that it could be diluted to the colour of honey wine and drunk. ingredients on my Medieval Monday post a few days ago. Mustard is one of those condiments that comes in many flavors, textures, and varieties. While most Americans are all too familiar with the smooth, bright yellow store-bought varieties, it would be a shame not to experience the more complex flavors of homemade varieties. If you’re new to mustard-making, this recipe is a great place to start. 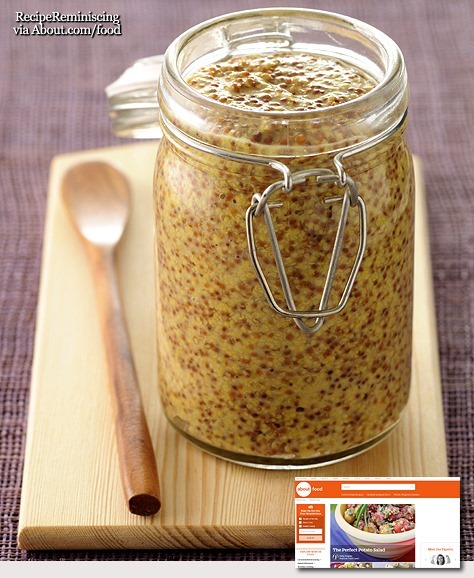 This basic country mustard is a pungent, grainy, all-purpose mustard that uses both coarsely ground mustard seeds and mustard powder. A delicious and different butter for both your buns, potatoes or pasta. 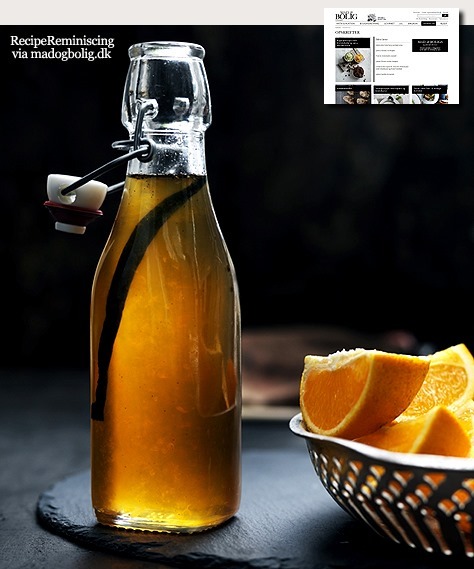 Make your own thick orange syrup, and treat friends and family to the most delicious syrup for pancakes or ice cream. 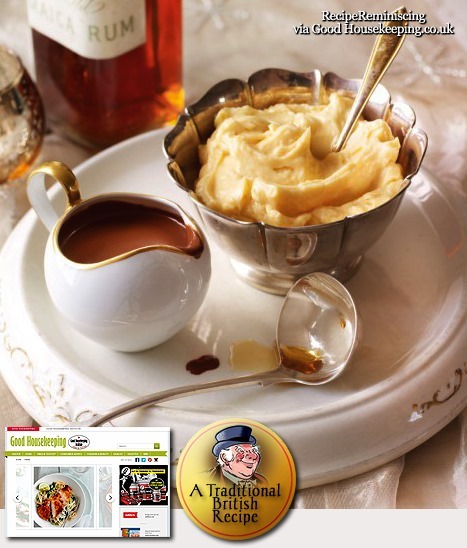 A twist on the traditional brandy butter. 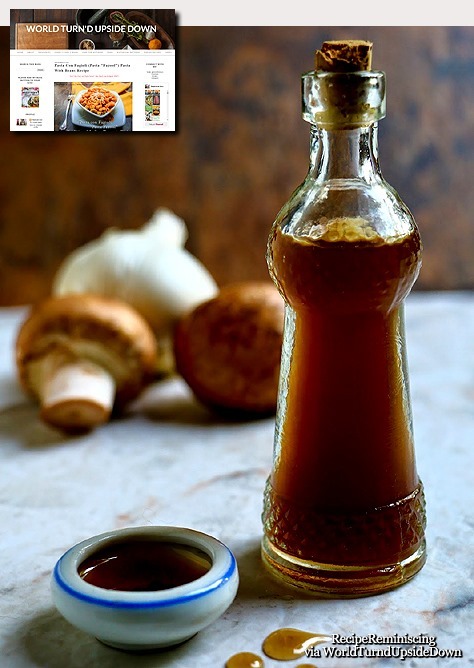 Stephanie Ann Farra who runs ‘World Turn’d Upside Down‘ writes: Mushroom ketchup was something I’ve been wanting to make for a long time. I love the fact that this was a common sauce so different from the ketchup we use today. In the early 1700s, ketchup was introduced to English explorers by the people of Singapore and Malaysia. Originally a sauce for fish, ketchup was made out of walnuts, oysters or mushrooms and was similar to soy sauce. 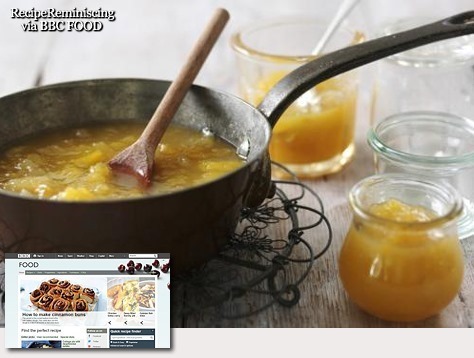 The English expanded the use of the sauce and it became popular for fish and meat dishes. Rose hips, also sometimes spelled as one word rosehips, are the golf-ball sized red fruit of a variety of rose bush that is native to Alaska among other places. Rosehips are a part of the same fruit family as apples and impart a warm, floral, and fruity flavor. 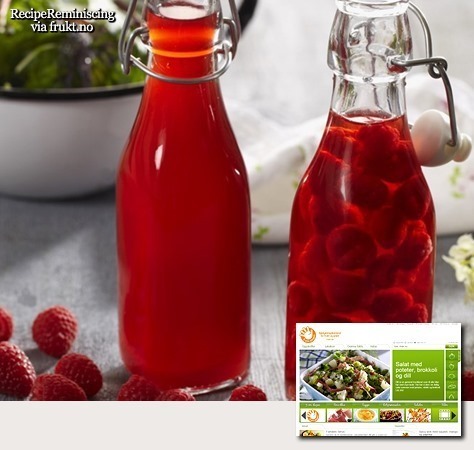 Rose hip syrup is a particularly versatile way to use rosehips in the kitchen. 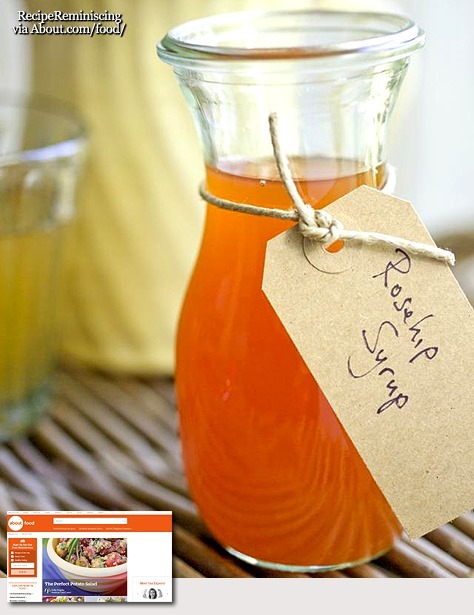 The sweet syrup can be used on pancakes, porridge, or oatmeal in place of the traditional maple syrup. 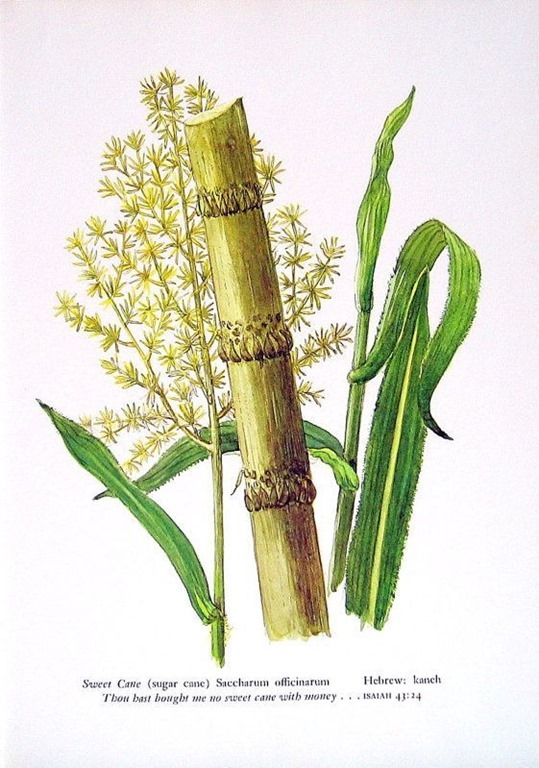 The syrup can also be used as a sweet, floral ingredient in mixed cocktails. And, of course, nothing is better than rose hip syrup drizzled on ice cream, bread pudding, or other desserts – even just plain yoghurt!